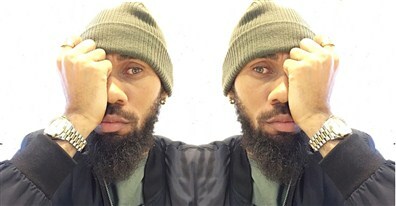 8 Facts Phyno Is Hiding From You,No 4 Will shock You. The Beast from the East Phyno. You might know him as Phyno,but the truth is that most Phyno fans don't even know some basic facts about one of Nigeria's best rapper that has been a force to reckon with in HipHop and Rap music in Nigeria. Phyno's songs are banging in Nigeria and out of the shores of this country. Exposed! 8 Secrets Phyno doesn't want you to know,no 4 will shock you. Ok,lets cut to the chase! Listed below are 8 facts you don't know about Phyno Fino. Phyno's real name is Chibuzor Nelson Azubuike,He got his stage name Phyno from the word 'Phenomenal'. Growing up in a typical Nigerian family,Phyno wanted to pursue a different career, initially he wanted to be a Pilot,when he was later asked in an interview what he would have pursued as a career if he wasn't a rapper? He response was ' I would have probably owned a shop',I wonder what kind of items Phyno will be selling in his shop o! Phyno learned to create his own style of Rap Music. The fact still remains that Phyno's rap game is top notch,he made rapping in the ibo dialect look cool,there were other veteran igbo rappers before he was discovered but non of them really took igbo rap music to the next level, Ezege did that! When it comes to entertainment, most popular entertainers don't really have time for education or weren't rich enough to afford an education before the fame. I guess most of y'al don't know how old Phyno is. Phyno has been nominated 28 times and has won five times.